What with books to read, TV to watch, lunch dates, sickies to visit and many other things I don't seem to do so much sewing these days. 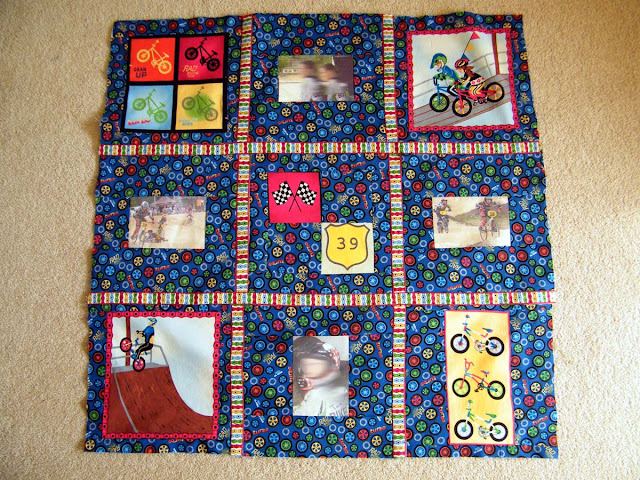 But the centre square of the first of my two BMX quilts is now done and I'm reasonably happy with it. So far it measures 29" square. Two different borders come next. the blocks are turning out great. Love the background fabrics and the binding is great too. Can't wait to see the next borders. It look great, for a boy quilt, lol. It will be well received.